America’s Bush political dynasty was plunged into scandal last night after one of its leading figures admitted violently attacking his first wife. 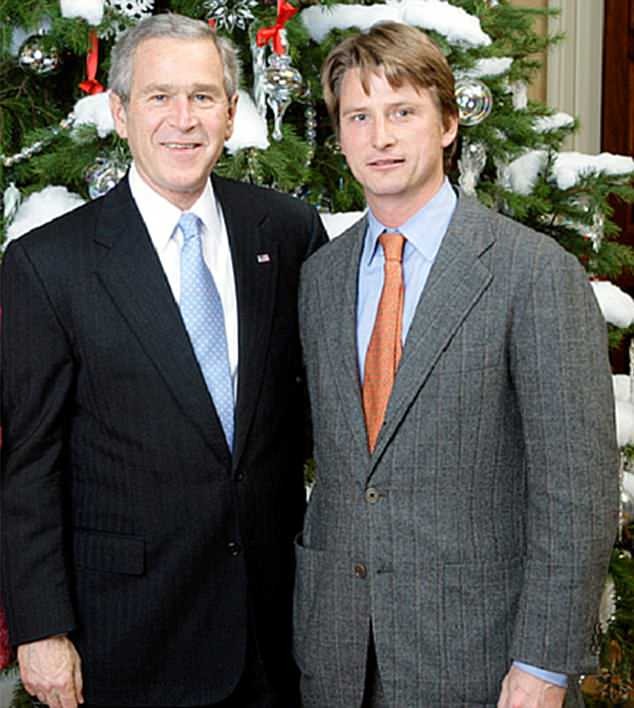 Court documents obtained by The Mail on Sunday reveal that Jonathan Bush, nephew of former President George H. W. Bush and cousin of former President George W. Bush, confessed to ‘numerous physical altercations’ with former wife Sarah Seldon including ‘repeatedly slamming his closed fist into her sternum [breastbone]… just inches from their baby’. The details of Bush’s domestic abuse were filed with the Massachusetts family court during a 2006 custody battle over the couple’s five children. The former Mrs Bush alleged that Mr Bush had ‘struck her on numerous occasions, once causing a black eye’. A second submission claims that Bush’s behaviour had become ‘more and more aggressive and hostile’.